DC cars price starts at Rs. 48.00 lakh for the cheapest car Avanti and goes up to Rs. 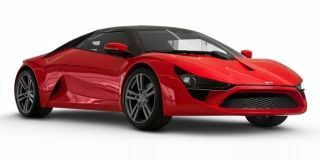 48.00 lakh for the top model DC Avanti. DC offers 1 new car models in India. Avanti (Rs. 48.00 lakh), are among the popular cars from DC. In the year 2019/2020, DC is going to launch 1 new models in India. Select a	DC car to know the latest offers in your city, prices, variants, specifications, pictures, mileage and reviews. This car is yet to be launched, expected price is 25lakh. Q. When will it arrive in the market? As of now, there is no official update of the launch of this car by the brand.